In 1983, there was a crash. Not a stock market crash or a car crash involving someone noteworthy. But a crash in the videogame industry. People got tired of playing the figurative whack-a-mole of “Find The Good Game”, with the all too common chance of picking up a bad game, and simply gave up. Videogames to the common people became a fad, and like many fads, it came and went. However this event was mostly situated in North America, and more specifically within the console market. In Japan, videogames were just as healthy as ever. Arcades and consoles saw use and playtime everyday. Nintendo had released the Famicom home console in Japan. But North America would prove to be a different beast to conquer. However once that beast was tamed, it became a formidable ally. 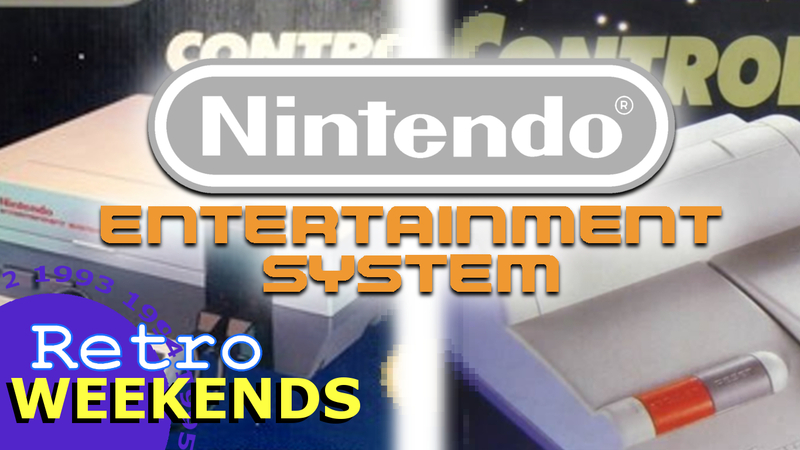 On this Retro Weekend, we reminisce about the Nintendo Entertainment System. This entry was posted in Retro Games, Retro Weekends and tagged Amagon, Dragon Warrior, Duck Hunt, Famicom, Frankenstein, nes, NES 2, nintendo, nintendo entertainment system, retro, retro games, super mario bros., Top Loader, Videogame Crash of 1983, whomp 'em on August 1, 2015 by Steven T..
To newcomers, Retro Weekends is a personal recollection of all things retro, from games, to toys, to shows. Readers are encouraged to share their own memories in the comments below. So sit back, relax, and let the nostalgia flow. After the crash of 1983, Nintendo appeared on the scene to revitalize the industry. Nintendo was the new kid on the block, and he had all the cool stuff. It had more defined graphics (compared to Atari and its ilk), a simple controller, and a boatload of cool games to play. But behind the scenes, a Nintendo factory worker-turned-head honcho was working on the next big thing for Nintendo, one that would not only bolster Nintendo’s library of games, but all be its back-up plan when their home consoles faltered. 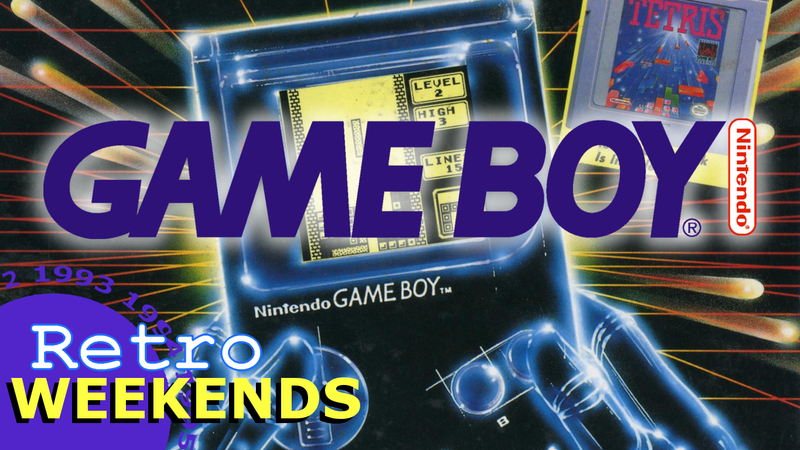 This weekend, we celebrate the Game Boy’s 25th Anniversary. This entry was posted in Retro Games, Retro Weekends and tagged game boy, Game Boy 25th Anniversary, Game Boy Color, Gameboy, Gameboy Color, GB, gbc, Gunpei Yokoi, nintendo, Pokemon, Super Mario Land on April 26, 2014 by Steven T..
You have an idea for a product. You make the product. And now it’s time to sell the product. So what’s the one thing you’ll do to sell your product? Advertise it of course. This is pretty much the pattern that most product makers follow. In the game industry it’s no different. With catchy slogans, flashy graphics, and some off-the-wall shenanigans, an ad is supposed to convince you to buy the product they are selling. But ignoring all of the attempts to sell and actually looking at the ad, they always seem to be a product of the era that they were released in. So for this retrospective, we’re going to look at one of the longest living game companies, Nintendo, from when we played with power, to when we played it loud, to two guys asking us if Wii would like to play, to what we will play next. This entry was posted in General Articles, Retro Games and tagged ad campaigns, change the system, commercials, gamecube, gamecube ad, get n or get out, Luigi's Mansion, metroid prime 2 echoes, n64, nes, nintendo, nintendo 64, nintendo commercials, now you're playing with power, play it loud, punch out, SNES, super nintendo, super power, super smash bros, what u will play next, who are you, wii, wii sports, wii u, wii would like to play, Yoshi's island on March 12, 2013 by Steven T..
During my Livejournal days, I remember talking about this game when this segment was still called Retro Gaming Weekends. However, the way it was brought up was very out of place, out of nowhere, and very last minute. While I mentioned Mario’s 25th anniversary in the initial article, it still feels like I didn’t give it proper thought. So I’m bringing it back here to give it the proper attention it deserves. But why am I giving it this much attention? Well, it holds a very special place in my gaming heart, and for nearly a decade has held the #1 spot in my Favorite Games of All Time list. While many games have come and gone — some being better admittedly than Super Mario RPG— they never had the level of impact this game had on my gaming habits and preferences. 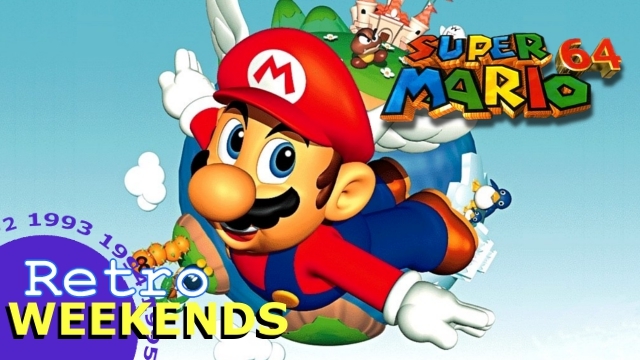 So sit back and get ready to take turns as on this Holiday Edition of Retro Weekends, we’ll look back at my #1 game of all time, Super Mario RPG: Legend of the Seven Stars. This entry was posted in Retro Games, Retro Weekends and tagged Bowser, Geno, Mallow, Mario, nintendo, Peach, retro games, retro weekends, SMRPG, SNES, square, squaresoft, super mario rpg, Super Mario RPG Legend of the Seven Stars, super nintendo, Toadstool, Yoko Shimomura on December 16, 2012 by Steven T..
With a game gaining popularity comes the possibility of a sequel. Sonic The Hedgehog gained momentum, helping SEGA gain a huge market share just one month before the Super Nintendo would release in 1991 in North America. So now Nintendo and SEGA were neck and neck, and the Bit Wars would now begin. SEGA continued their winning streak still post-SNES release, and they wanted to continue that. With a little bit of western outsourcing, a little bit of eastern star power, and a couple of fox tails thrown in, SEGA would begin production on what some consider one of the best Sonic games in series history. So get those spinny legs ready as this weekend we take a journey back to Sonic The Hedgehog 2. This entry was posted in Retro Games, Retro Weekends and tagged Bit Wars, Blast Processing, Chemical Plant, Emerald Hill, genesis, Hill Top, mega drive, Mystic Cave, sega, Sonic, Sonic 2, sonic the hedgehog, Sonic the Hedgehog 2, Wing Fortress on December 8, 2012 by Steven T.. 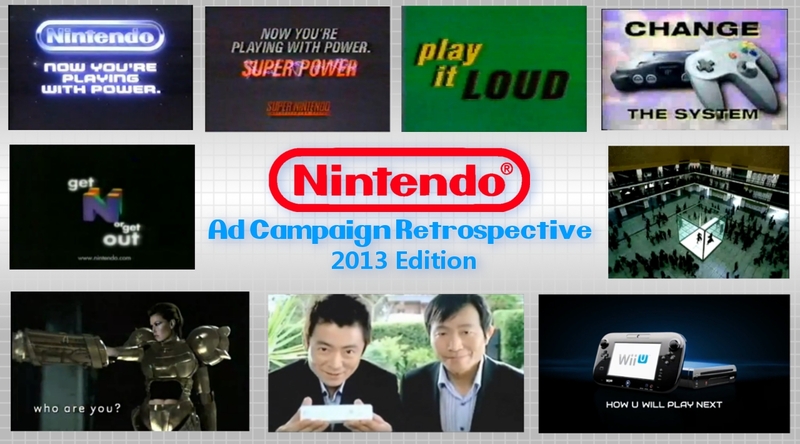 Looking at the repertoire of games in Nintendo’s portfolio, they had a multitude of genres already under their belt. So their next venture would be sci-fi, and they started with F-ZERO, a futuristic racer. It was launched early in the SNES’ lifecycle. But they wouldn’t stop there. Some years later, Nintendo would tap into sci-fi once again to test drive their latest Super FX Chip. Their creation: Star Fox. They wouldn’t stop there though. A new console was approaching, and they wanted to bring that series there. 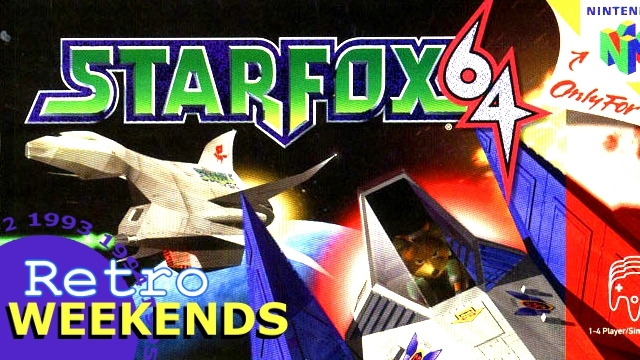 So strap yourself in as this weekend we barrel roll into Star Fox 64. This entry was posted in Retro Games, Retro Weekends and tagged Corneria, Fox MxCloud, Great Fox, n64, nintendo, Nitnendo 64, oldschool, oldschool games, Retro Game, Shigeru Miyamoto, star fox, Star Fox 64, starfox, Starfox 64 on November 24, 2012 by Steven T..
Shigeru Miyamoto’s birthday passed yesterday. So I thought going to one of his games would be a perfect fit for the return of Retro Weekends. But which game? Back then he had his hand in many games from Zelda, to F-ZERO, to Donkey Kong, to Star Fox, to Pikmin. But one of his more recognized franchises has to be Mario. And of the mainline platformer games, I’ve played all of them up to Super Mario Galaxy 2, even the original Lost Levels on NES (via Virtual Console). I’m actually leaning on wanting to talk about The Lost Levels. But you know what, let’s tackle a game on a console that I haven’t touched on yet on Retro Weekends. After the break, we’re flying high with Super Mario 64. This entry was posted in Retro Games, Retro Weekends and tagged 3D platformer, Mario 64, n64, nintendo 64, old games, oldschool games, retro games, retro weekends, Shigeru Miyamoto, SM64, Super Mario 64, that damned piano on November 17, 2012 by Steven T.. 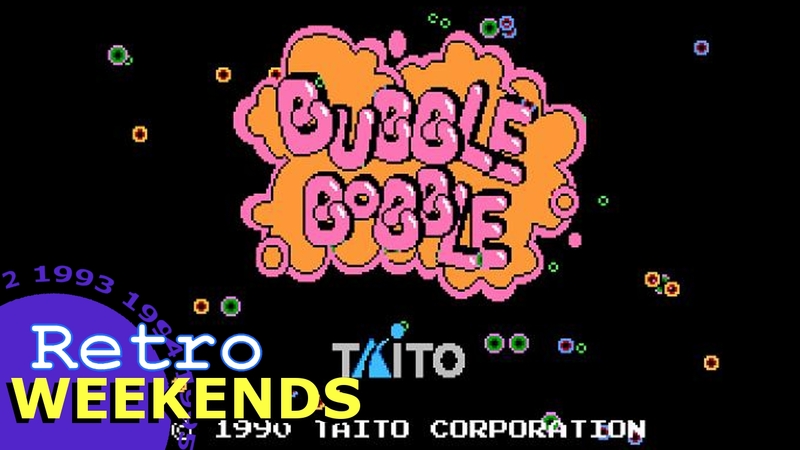 This entry was posted in Retro Games, Retro Weekends and tagged beluga, bob, bub, bubble bobble, duper drunk, nes, nintendo, retro games, retro weekends, skel, taito on May 26, 2012 by Steven T.. The Native American. A people that have long been the center of government screwing. But in entertainment, they’ve been seen as those guys in Westerns that always seemed to mess up the good guys. But sometimes, the helped out. Other times, the were sidekicks. Native Americans in videogames? Well, they… well, one, was fodder for being raped in front of a cactus by a dead cowboy dodging arrows. Yeah, Natives weren’t quite painted in a positive light. But hey, there was one game that would try and fix that a bit. 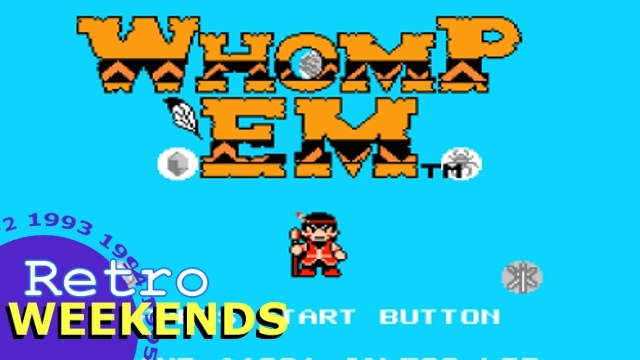 Whomp ‘Em is the next game in NES MAY after the jump. This entry was posted in Retro Games, Retro Weekends and tagged jaleco, journey to the west, native american, nes, nintendo entertainment system, retro games, retro weekends, saiyuuki world 2, whomp 'em on May 12, 2012 by Steven T..
Pumpkins, vampires, zombies, murderous robots. These were among the numerous creatures to pervade the entertainment landscape, tapping into the fears that people developed worldwide. So it’s no surprise that such monsters would find their way into videogames. Monster Party sought to bring them to the forefront and make them the primary enemies in the game. What we got was a game that actually parodized the monster genre and made little references to the source material here and there. Oh, and this game pretty was hard. 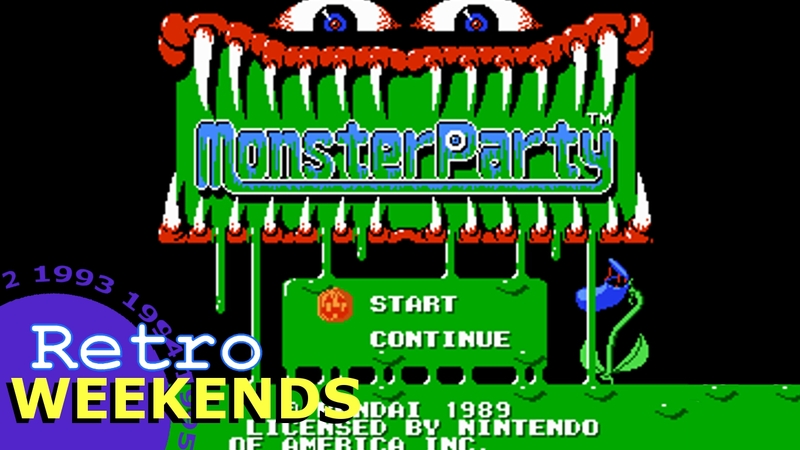 After a month off, let’s celebrate NES MAY with a Monster Party! 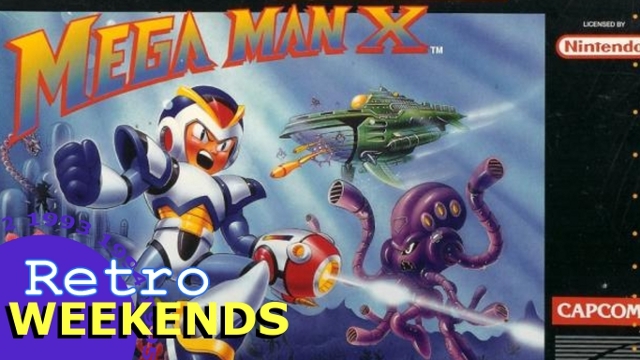 This entry was posted in Retro Games, Retro Weekends and tagged bandai, beta, japan, japanese, monster party, nes on May 6, 2012 by Steven T..
And here we are, the last Mega Man game for Mega March (sorta). This weekend, we go back in time to talk about the game that many Mega Man fans herald as the best of the series; the pebble that started the avalanche. Whether it was for its gameplay, its music, or its weapons, Mega Man II has found its way into many top ten lists, music remixes, and tons of fan art. And so, we end off Mega March with the last game I’ve played so far, Mega Man II. Why is it the last so far? Well, hit the jump to find out. 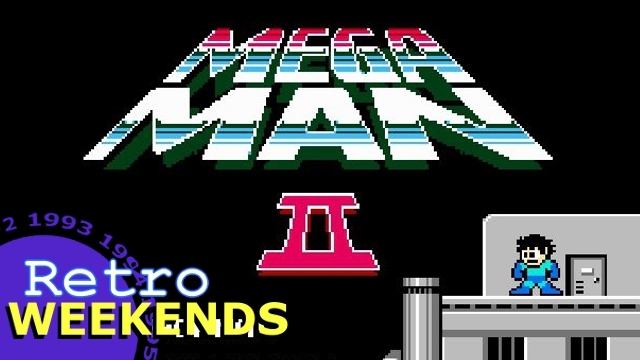 This entry was posted in Retro Games, Retro Weekends and tagged air man, bubble man, Capcom, mega man, mega man II, mmII, Music, nes, nintendo, wily's stage, wood man on April 8, 2012 by Steven T..
For some odd reason, longtime fans of the Mega Man series weren’t too thrilled about Mega Man’s jump to 3D and playing it like an RPG. But there were still fans of the original Legends and, to this day, still talk about it. So Capcom saw fit to make a sequel to it, Mega Man Legends 2, and continue the story that the original left open. The Bonnes have returned to less money, Glyde’s crew is on the rise, and the secret to Mega Man Volnutt’s past is about to be revealed. 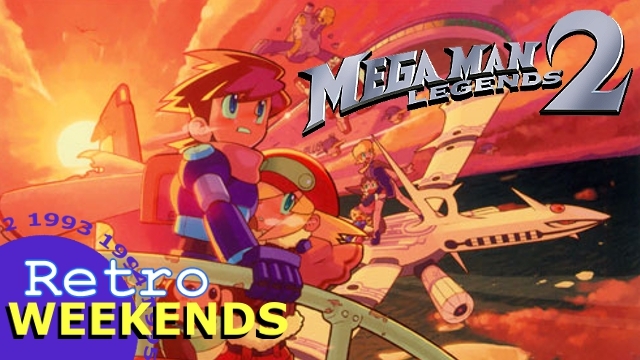 We continue Mega March with Mega Man Legends 2. This entry was posted in Retro Games, Retro Weekends and tagged Capcom, gatz, geetz, glyde, mega man, mega man legends, mega man legends 2, megaman, megaman legends, megaman legends 2, Playstation, religion, retro games, retro weekends, roll casket, sera, tron bonne, volnutt, yuna on April 1, 2012 by Steven T.. 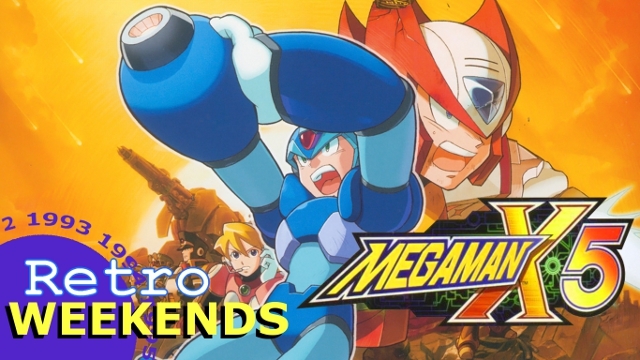 This entry was posted in Retro Games, Retro Weekends and tagged Capcom, dynamo, enigma, mega man x, mega man x5, Playstation, ps1, retro games, retro weekends, sigma, zero on March 31, 2012 by Steven T.. 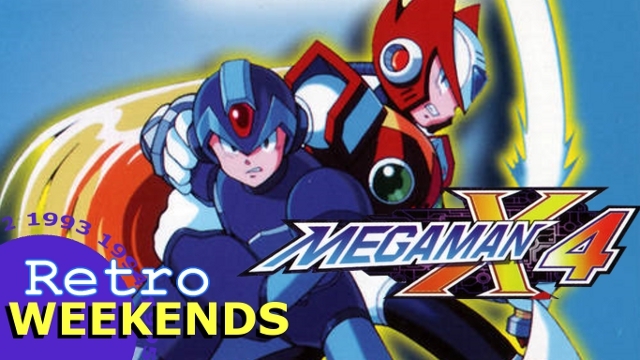 Continuing onward through Mega March, we hit the next game in the list, Mega Man X4. Things started to get a little serious with this entry. With a story that first started out as something you’d see in a Saturday morning cartoon, the storyline of Mega Man X4 resembled something you’d probably see for teen’s programing (if the U.S. ever had one). And now at the dawn of a new system (two actually), Mega Man X4 makes its debut on the Playstation and SEGA Saturn and completely skips the N64. New stages, new bosses, new cutscenes, and the full ability to play as Zero, Mega Man X4 was everything a Mega Man fan hoped for back then. So, let’s jump right in! This entry was posted in Retro Games, Retro Weekends and tagged Capcom, colonel, general, iris, jet stingray, magma dragoon, mega man, mega man x, mega man x4, mmx4, Playstation, sega saturn, sigma, sky lagoon, storm owl, what am I fighting fooooooooooooooooooooooor! ?, zero on March 10, 2012 by Steven T.. Sorry for the lack of a Retro Weekend last week. Admittedly, I couldn’t think of another old fighting game to talk about that I played (since most of them I had little time with). But now, I’ve got something. Four actually for the month of Mega March. Yep, this month is all about Mega Man. What games will they be? Well, you’ll have to tune in every week to find out. But if you want to know ahead of time, remember to check out our Facebook page. We give updates on what we got planned next sometimes. But enough of the tangents. Onward to the first game of Mega March: Mega Man X! This entry was posted in Retro Games, Retro Weekends and tagged armored armadillo, boomer kuwanger, Capcom, flame mammoth, launch octopus, mavericks, mega man, mega man x, megaman, megaman x, mmx, reploids, sigma, SNES, spark mandrill, sting chameleon, storm eagle, super nintendo, zero on March 3, 2012 by Steven T..
584,983 viewers accidentally found us!